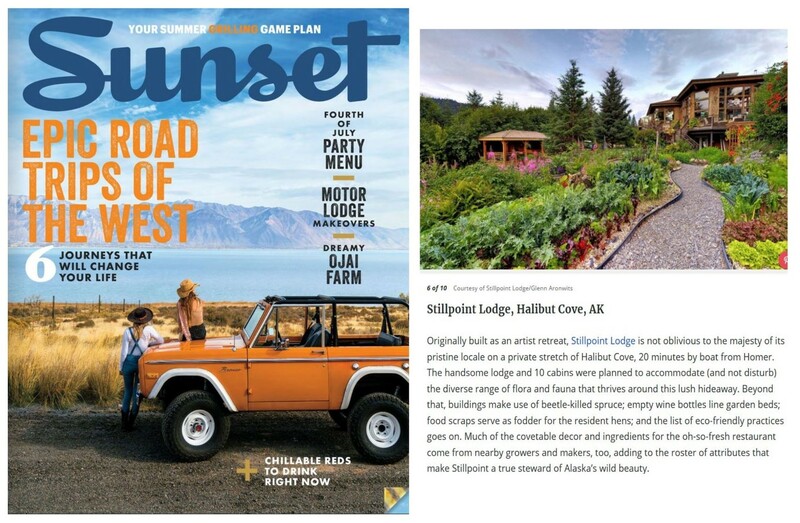 Originally built as an artist retreat, Stillpoint Lodge is not oblivious to the majesty of its pristine locale on a private stretch of Halibut Cove, 20 minutes by boat from Homer. The handsome lodge and 10 cabins were planned to accommodate (and not disturb) the diverse range of flora and fauna that thrives around this lush hideaway. Beyond that, buildings make use of beetle-killed spruce; empty wine bottles line garden beds; food scraps serve as fodder for the resident hens; and the list of eco-friendly practices goes on. Much of the covetable decor and ingredients for the oh-so-fresh restaurant come from nearby growers and makers, too, adding to the roster of attributes that make Stillpoint a true steward of Alaska’s wild beauty.